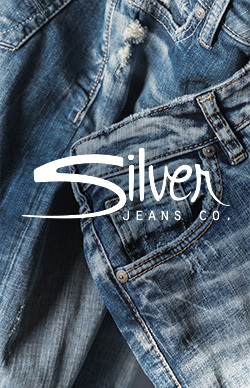 If you’re a guy with modern style and want jeans to match, Silver Jeans Co. has you covered. Our men’s tapered-leg jeans are exactly what you’ve been looking for. These jeans offer a bit more room than our slim-leg jeans, while still giving you that close-cut look you love. Eddie features a relaxed fit in the hip and thigh and tapers below the knee, delivering the perfect mix of comfort and style. For a jean that’s a little more easygoing with the same tapered leg, try Hunter, which is designed with a loose fit through the hip and thigh. Either way, you’ll get comfort where you need it and closeness where you don’t. Our tapered-leg jeans are available in several fabrics depending on your preference and lifestyle. If you’re looking for traditional, heritage denim with just a bit of stretch for comfort, our Serious Comfort denim is the way to go. Designed with amazing stretch and recovery, our Superior Flex denim never bags out our sags at the knees. This is great for the busy guy who’s always on the go. Our Ultimate Comfort fabric has the look of traditional denim on the outside and the feel of your softest sweatpants on the inside—basically the best of both worlds. Even in our tapered-leg category, you won’t run out of options for color and style. Choose a light indigo wash with distressing and destroy for an authentic lived-in look. Or go with something more classic that can be dressed up or down, like a dark indigo rinse with subtle detailing and tonal stitching. No matter which tapered-leg jean you decide on, you’ll look good and feel good too. After all, our men’s jeans are known as #TheGreatestJeans.